The fact that you are reading this in a Better Marriage’s newsletter demonstrates that you are committed to improving your marriage and value it highly. Nevertheless, my guess is that you have friends, neighbors, co-workers, or family members who are not as fortunate as you and may be struggling with their marriages. We have a solution that has helped over 88% of those who were considering divorce to improve their relationship to the point where divorce is no longer a consideration. Let’s look at the solution and then specifically how you can be an agent of change. The solution is marriage coaching. The primary difference between coaching and other types of helping methodologies is coaching considers the couple to be the expert on their relationship. This seems counterintuitive, but it works. Marriage coaches teach skills and help couples apply the skills to get the result they want through the coaching process. The coaching process creates mutual understanding for a common understanding of the issue, explores options, creates agreements on what to do and finally creates mutual accountability for the results a couple wants. 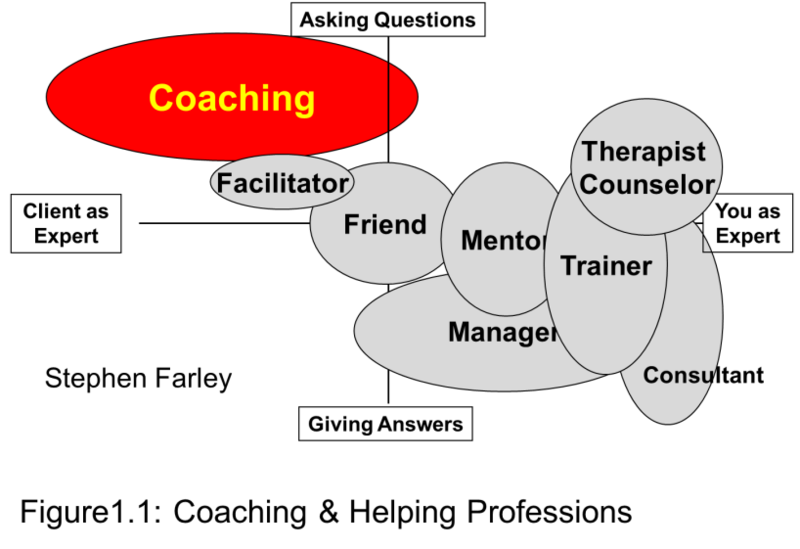 Other methodologies consider the “helping person” to be the expert. Marriage coaching is different from traditional coaching, which usually involves one motivated individual who hires a coach to improve performance or achieve some specific goals. In marriage coaching, two people are involved and one of them is usually more motivated than the other. In some cases, one teammate is a reluctant participant without much hope that anything will be resolved. Marriage coaching is further complicated by the intimate nature of the relationship and interpersonal dynamics that are often heavily laden with emotions. In traditional coaching the individual is the client whereas in marriage coaching, the relationship becomes the client. Coaching has proven to be an extremely effective intervention for couples with minimal issues as well as those in severely distressed relationships. However, there are some specific situations where coaching may not be an effective approach. These situations include addictions, mental health issues, depression, abuse or on-going affairs. MarriageTeam refers couples with these issues to professional counselors. Once individuals with these issues are receiving treatment, they may be good candidates for coaching. An independent analysis was conducted by PREPARE/ENRICH on a population of 143 couples who completed MarriageTeam coaching. The results are statistically significant and show a reported 196% improvement in communication and 145% in conflict resolution. In addition to the PREPARE/ENRICH study, MarriageTeam asks couples to evaluate their coaching experience at the completion of the program. Devitalized couples, who complete the coaching process, reported their coaching experience was a 9.07 on a scale of 1 to 10 with 10 being the best possible experience. These same couples also reported an average 163% improvement in their relationship at the conclusion of the MarriageTeam program. Even more compelling are the couples who decided not to divorce after completing the MarriageTeam program. An average of 26% of couples in two surveys responded that they were considering divorce when they began coaching. At the conclusion of coaching, 88% reported they were no longer considering divorce. In a subsequent sample, 94% reported they were no longer considering divorce. • You know how to listen to someone who is sharing their problems. You can have a generational impact as the kids see how their parents can learn to overcome differences and create a safe and happy home. Be courageous. Don’t miss out on the blessings of helping another. You will never regret helping to save a marriage and a family. 1. Coaching is not offered in California, Delaware, Illinois, Maine, Vermont, Hawaii, Iowa, Minnesota, Nevada, New Jersey, and Wisconsin. Alan and Autumn Ray have been married since 1970 and are the founders of MarriageTeam is a Washington State nondenominational, faith-based social agency dedicated to empowering couples for winning marriages. MarriageTeam trains Christian coach couples and places traditional pre-marital and married couples with coaches for 9 to 12 weeks of skill building and coaching. Alan retired from the Air Force and has a Master of Science in Counseling and Human Development and Autumn has a Bachelor of Science in General Studies with Social Work emphasis and retired from county government where she was the volunteer manager for the Department of Community Justice. They are a certified Marriage Enrichment leader couple, Seminar Directors for PREPARE/ENRICH, and skilled trainers. If you are interested in learning more about how to become a coach couple or creating a community coaching capability give them a call at 866 831-4201.